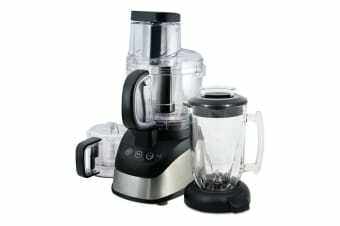 The true Multi Food Processor. With the Russell Hobbs Multi Food Processor, you can do anything right from chopping, kneading, pureeing, mixing, slicing and much more. Be it chopping onions or crumbing biscuits for a cheesecake base slice, do it all with the Russell Hobbs Multi Food Processor in just a matter of seconds. When you are finished, simply place the bowl in the dishwasher. You can enjoy your favourite food at home anytime.